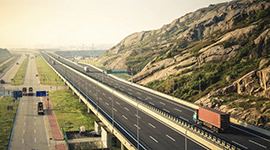 DD&S Express provides trusted transportation services in the United States, Canada and Mexico. We specialize in the hauling of over-dimensional/overweight loads. Additionally, we provide opportunities for handling other flatbed freight. At DD&S, we take pride in being a full-service provider of all types of flatbed commodities. We are reliable, fair, and focused on providing opportunities to our drivers and customers. Our drivers are trained and experienced in hauling a full range of commodities, such as heavy-haul machinery, mill rolls, sail boat masts and various other types of equipment. A network of more than 60 DD&S Express terminals work together with our drivers to move your freight safely and on time. DD&S Express drivers, terminals and customers appreciate that we hold on to our family values while providing the latest technology, tools and long-standing financial stability. 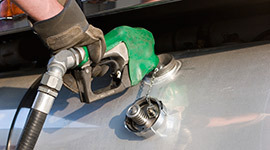 Find out how you can save an average of $0.35 or more per gallon of fuel. With more than 60 U.S. terminals and service into Mexico and Canada, DD&S Express can service your over-dimensional and specialized transportation needs. Skilled drivers and a focus on risk management ensure safe transportation. © 2016 DD&S Express Inc. All rights reserved.